Venn diagrams are used to compare sets of elements. Though most of their contribution is in the field of set theory, it can also be a fun activity for children. 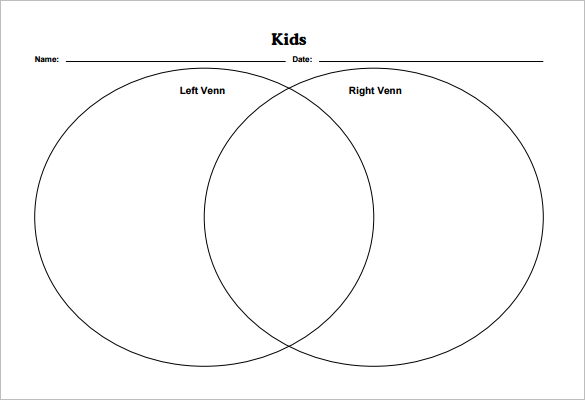 New concepts can be understood by children easily with the help of free Venn diagram. 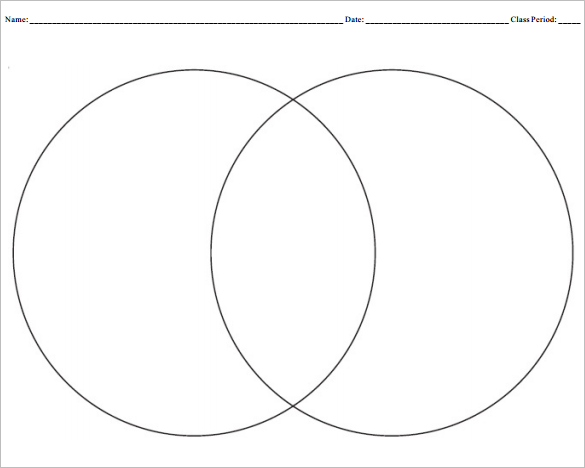 Download our Blank Venn diagram templates and print them for immediate use. The PDF version of these templates is also available. Made of two simple plain cycles, this Venn diagram is applicable in a school setup. It’s equipped with places for writing the date, name and class period for a teacher’s presentation in class. It is available in PDF, PSD, Word, and PPT formats. 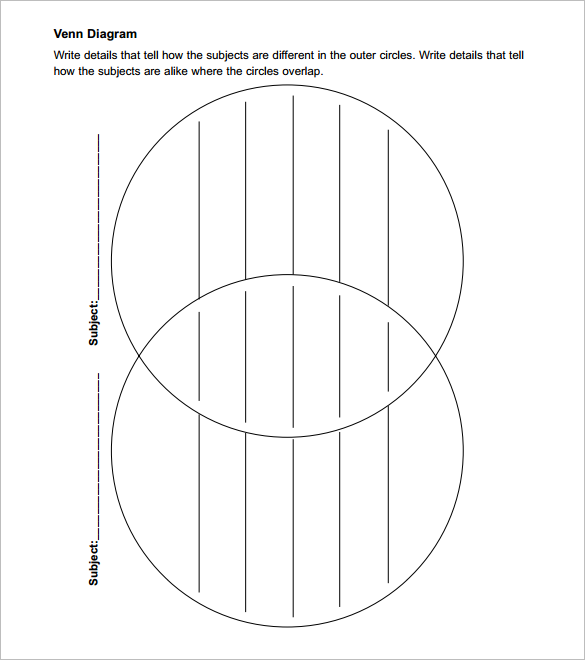 You may also see Circle Venn Diagram Templates. 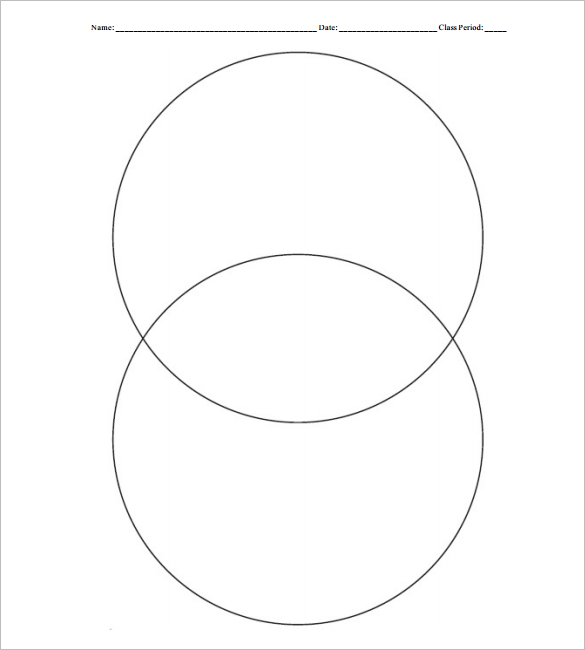 A very nice venn diagram template with two overlapping cycles. This is suitable for presenting three topics each in a section. We have this in PSD, Word, XPS, PPT and PDF formats. You may also check out here Venn Diagram PowerPoint Templates. Our venn diagram template for school has two vertically arranged plain cycles. You can use this for any number of presentations without any limitations. Download it in PPT, PSD, XPS, Word or PDF formats. 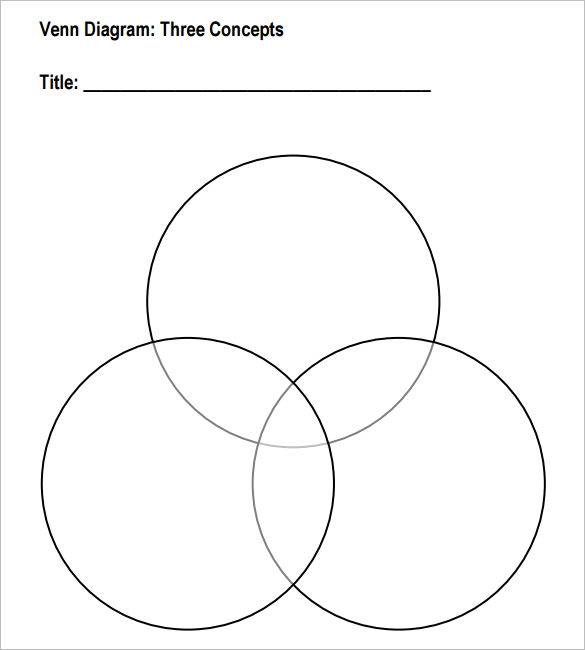 You may also see Venn Diagram Worksheet Templates. 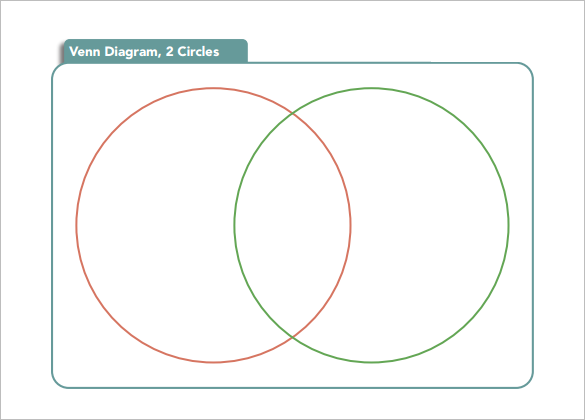 Consisting of three overlapping cycles, our venn diagram template provides you with extra sections to present up to seven topics each with its enclosure. 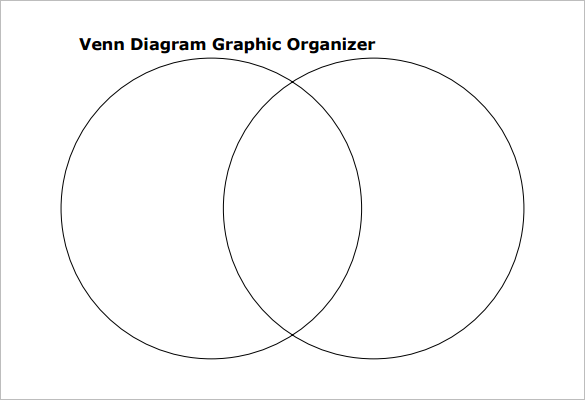 This is available in formats like XPS, PDF, PPT, PSD and Word You may also see Funny Venn Diagram Templates. 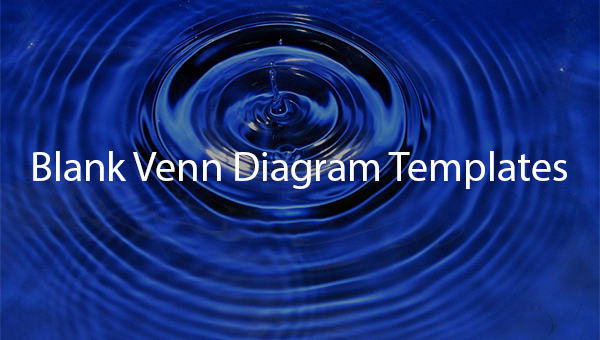 Present your concepts with our diagram template. Fill in the three sections of the cycles with your data. If you don’t need to compare then the overlap areas are not used. Its available in PDF, PSD, PPT, XPS and Word. 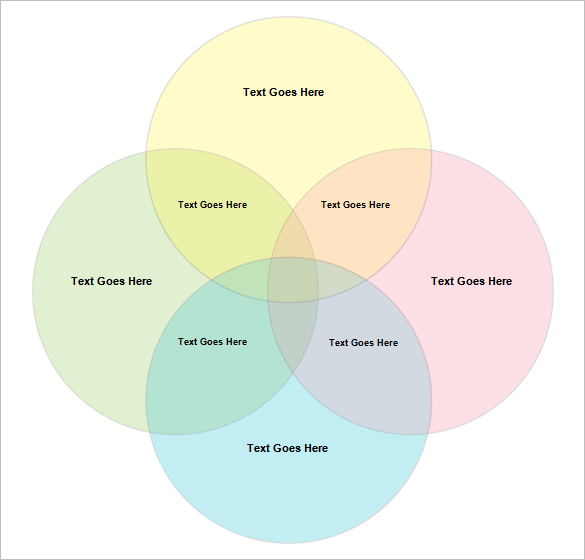 You may also see Interactive Venn Diagram Templates. 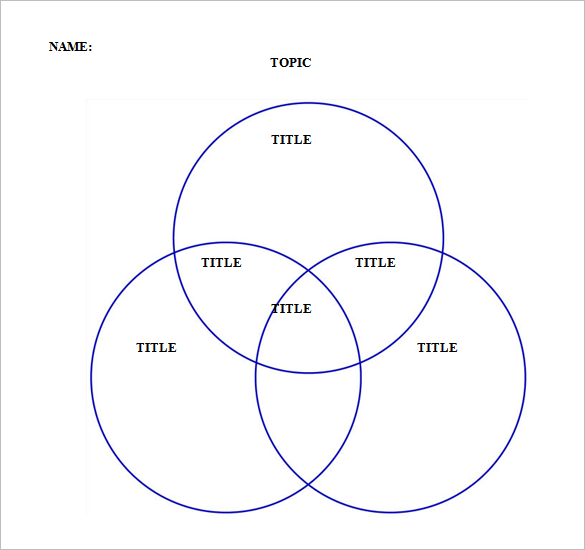 Consisting of four overlapping cycles, this venn diagram template provides you with many options to list and present your titles or topics. 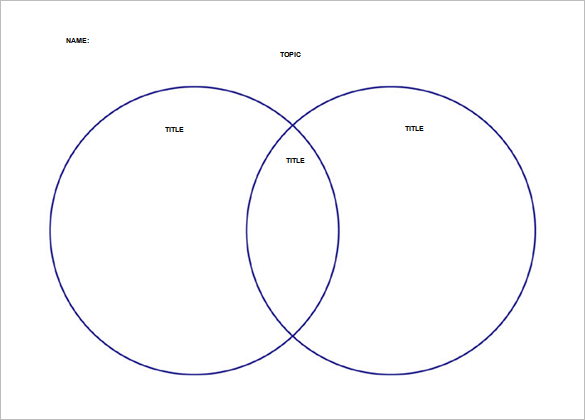 It can be downloaded in XPS, Word, PSD, PPT or PDF formats Yiou may also see Venn Diagram Examples. These simple Venn diagram templates are the best tools for comparison and contrast between two items. These templates are also available in word and excel formats. These prove to be very helpful in easily grasping theories and complicated comparisons, due to their simple structure.